← Support Needed by Former Resident to Complete Missionary Work! 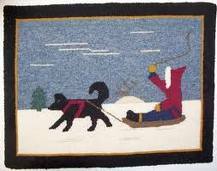 Posted on January 8, 2011, in Announcements, Tradition and tagged College of the North Atlantic, Floors, Great Northern Peninsula, Home and Garden, Labrador, Rug hooking, Shopping, Wilfred Grenfell. Bookmark the permalink. 1 Comment.